SafeBeat Initiative: All You Need to Know About Cardiomyopathy! 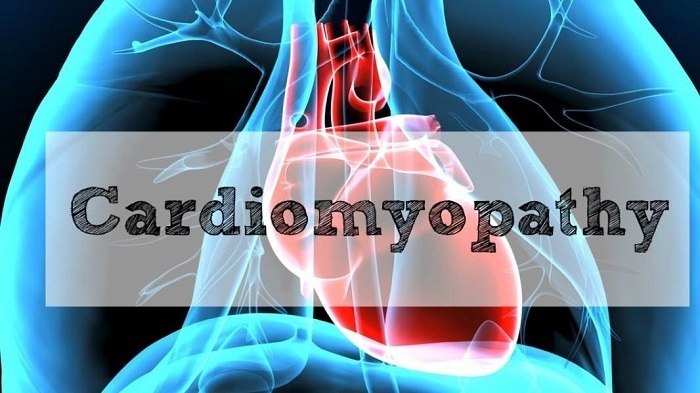 Cardiomyopathy is a progressive disease of the myocardium, the heart muscle. The condition is either confined to the heart or is part of generalised systemic disorders. They often lead to cardiovascular death or progressive heart failure-related disability. These diseases have many causes, signs and symptoms and treatments. The heart muscle either becomes enlarged, thick or rigid in cardiomyopathy. In rare cases, the muscle tissue is replaced with a scar tissue. The main types of cardiomyopathy are dilated cardiomyopathy, hypertrophic cardiomyopathy, restrictive cardiomyopathy and arrhythmogenic right ventricular dysplasia. Some other types of cardiomyopathy are called 'unclassified cardiomyopathy' and 'stress-induced cardiomyopathy', also known as broken heart syndrome. Cardiomyopathy can be inherited i.e. a family history of cardiomyopathy, sudden cardiac arrest, or heart failure. Four in ten cardiomyopathies - a major cause of sudden cardiac death and heart failure in young people - are genetic, according to a European Society of Cardiology (ESC) study published today in European Heart Journal. Often, the cause isn't known and it can affect all ages and certain age groups are more likely to have certain types of cardiomyopathy, according to Dr Kumar Kenchappa, Consultant Interventional Cardiologist, Gleneagles Global Hospitals. "The cardiac expression of these genetic diseases starts early in some patients," said Philippe Charron, first author of the study published in the journal. "In others it is delayed for many decades - longer than previously thought." Symptoms such as - shortness of breath, fatigue, and light-headedness or dizziness, edema or swelling in the ankles, feet, legs, abdomen, and veins in the neck, fainting attacks during physical activity, arrhythmias (irregular heartbeats), chest pain, especially after physical exertion or heavy meals. An antiarrhythmic drug helps to keep the heart beating with a normal rhythm. Diuretics are used to remove excess fluid and sodium from the body. Anticoagulants - "blood thinners" helps to prevent blood clots. Blood thinners are often used to prevent blood clots from forming in people who have dilated cardiomyopathy. With proper lifestyle modification, one can lower the risk for diseases or conditions that may lead to or complicate cardiomyopathy. A healthy diet and physical activities are part of a healthy lifestyle. A healthy diet includes a variety of fruits, vegetables, and grains. It is suggested to consume foods that are low in saturated fat, trans fat, and cholesterol. Salt intake should be reduced. Smoking and consumption of alcohol and illegal drugs should be avoided. Having a good sleep and rest will help in reducing stress. It is also important to note that one should take proper measures to treat conditions such as diabetes and high blood pressure. People with cardiomyopathy should get medical advice before performing any kind of physical activities. Implanted devices mentioned below helps the heart work better. The goal of treatment is to help your heart be as efficient as possible and to prevent further damage and loss of function. Pacemaker, a small device that's placed under the skin helps to control arrhythmias. It uses electrical pulses to prompt the heart to beat at a normal rate. Cardiac resynchronization therapy (CRT) device coordinates contractions between the heart's left and right ventricles. A left ventricular assist device (LVAD) helps the heart pump blood to the body. An LVAD can be used as a long-term therapy or as a short-term treatment for people who are waiting for a heart transplant. An implantable cardioverter defibrillator (ICD) helps control life-threatening arrhythmias that may lead to a sudden cardiac arrest. This small device is implanted in the chest or abdomen and connected to the heart with wires. If an ICD senses a dangerous change in heart rhythm, it will send an electric shock to the heart to restore a normal heartbeat. Heart Transplant is considered as a last resort treatment for people whose condition has become so severe that all treatments have failed.